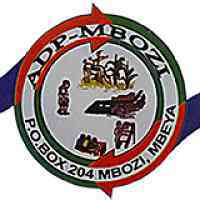 ADP Mbozi is among the giant NGOs in Tanzania operating in the Southern Highlands of Tanzania since 1986. This organization was registered as a Trust Fund in November 1995 and later on complied with NGO law in Tanzania in October 2005 (registration number is 1639). gender, HIV and AIDS and good governance. Moreover the organization strives to strengthen its internal capacity in order to implement successfully the above-mentioned focus areas. A holder of a recognized University degree at masters level or above in social sciences. A minimum of five years experience in similar position in the NGO sector. A person of integrity and good public image within and outside the organization. Must be vibrant, honest, efficient and a well organized person who can work independently and must be able to meet tight deadlines. Must have proven experience and excellent skills in resource mobilization including proposal writing skills. Must be computer literate especially word processing and spreadsheet. Must have excellent communication skills and be able to write and fluently speak English and Kiswahili. Must have 5+ years experience successfully managing complex multi-sector development programs. At least 5 years proven experience in leading and managing staff, including team building and leadership, recruitment, staff development, training, mentoring, and performance assessment. Proven experience in networking with donor community, government, beneficiaries and other stakeholders. A strong track record of positioning the organization to achieve tangible outcomes. Must have ability to defend the organization and its properties. Attractive remuneration will be offered depending on qualifications and experience. Interested and qualified candidates who meet the above qualifications should send their application letter, CV, copies of academic certificates and a list of three referees and their contacts to the address below. Closing date for receiving applications will be 3 weeks after the date of first appearance of this advertisement.